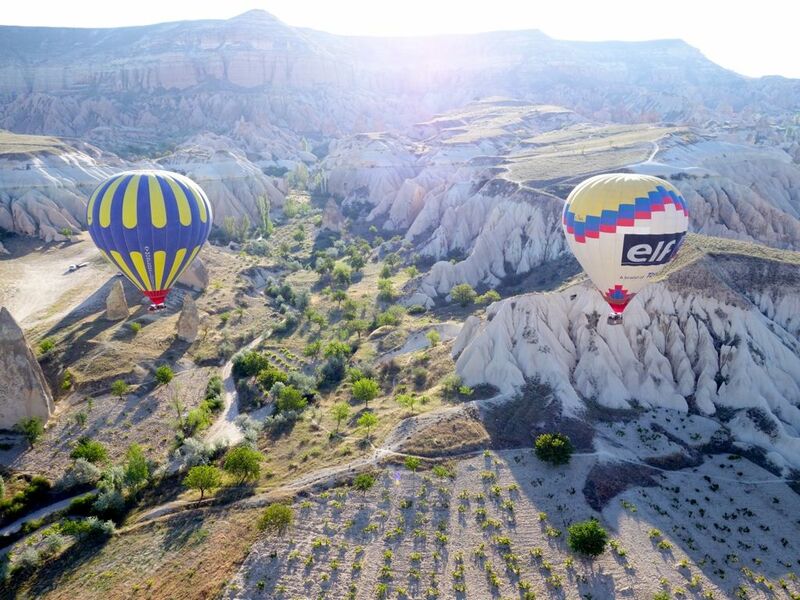 Cappadocia (Kappadokya) is a fairytale, complete with whimsical fairy chimneys, magical hot air balloon rides, and mystical sunsets over valleys. It's the reason why i fell in love with the country i've not been to (Turkey), until i made it a reality of course. Well long distance relationships just don't work for me, so i made this city, in the Anatolian region, my first stop on my Turkey trip. 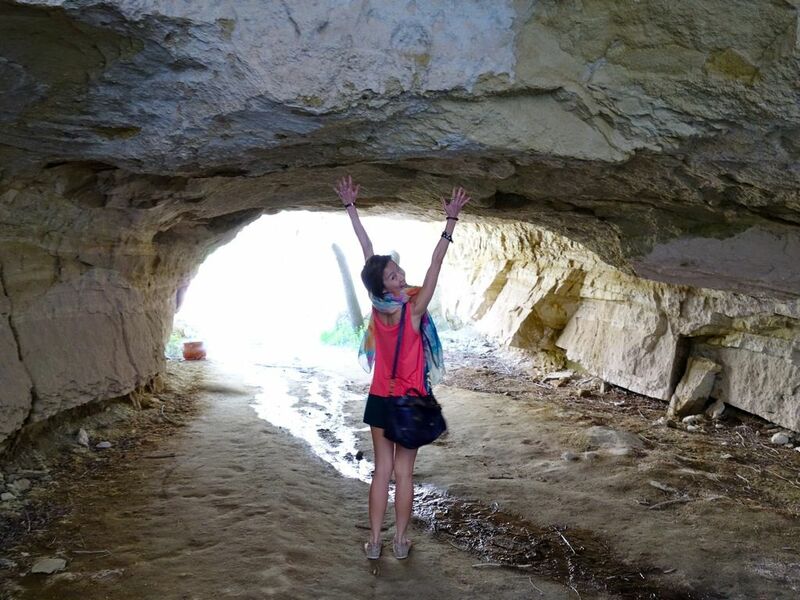 Upon arrival, take a 1h transfer from the airport to one of the towns and check yourself into a cave hotel. 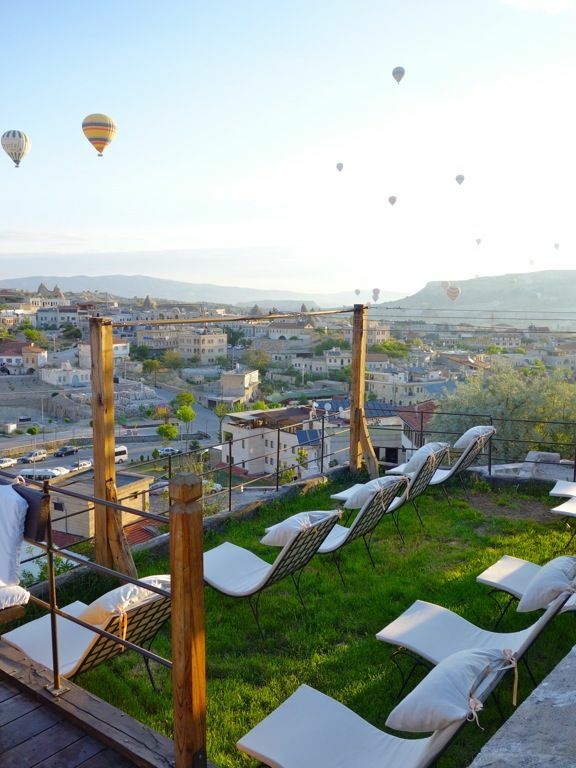 A trip to Cappadocia isn't complete if you don't stay in one. It is certainly part of the charm of the place. The hollowed out soft volcanic rock accommodation is anything but shabby. Most of these lodging are luxurious with all the modern comforts you can imagine- electricity, wifi, baths, central heating, ac, beds etc. Each cave room has its own character- stone (made from blocks)/cave/chimney, with windows or not, view etc. so it all depends on what you prefer. It was a real headache deciding which town, which hotel and then which room! I decided on Goreme because it is fairly accessible to sights and activities (Goreme Open Air Musuem and Hot Air Balloon rides). 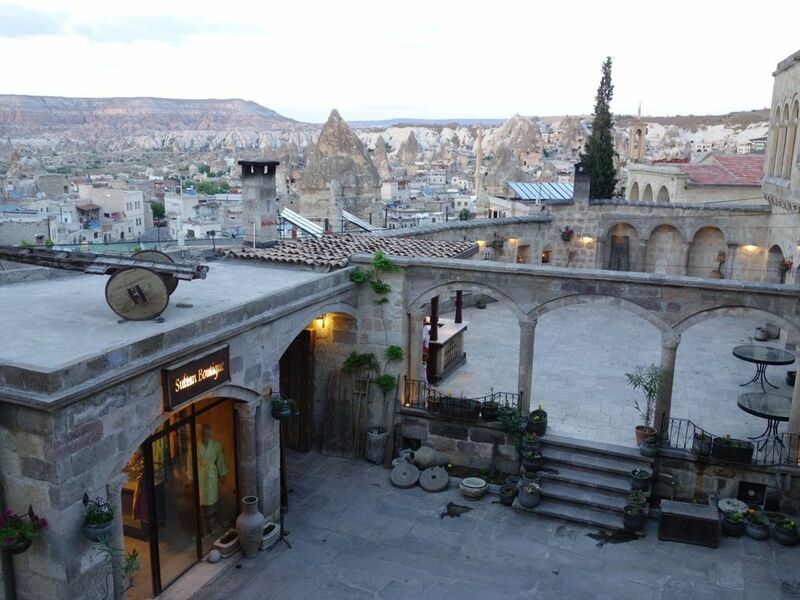 Considering we only had 48h (or less) in Cappadocia, we didn't want to waste it on traveling around. 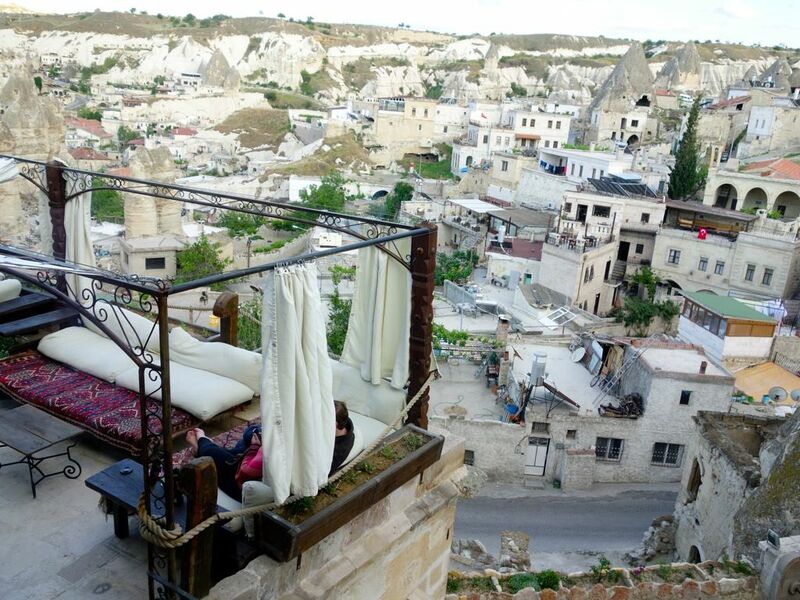 I would love to check out Ürgüp and its boutique caves but it's just a little far off. 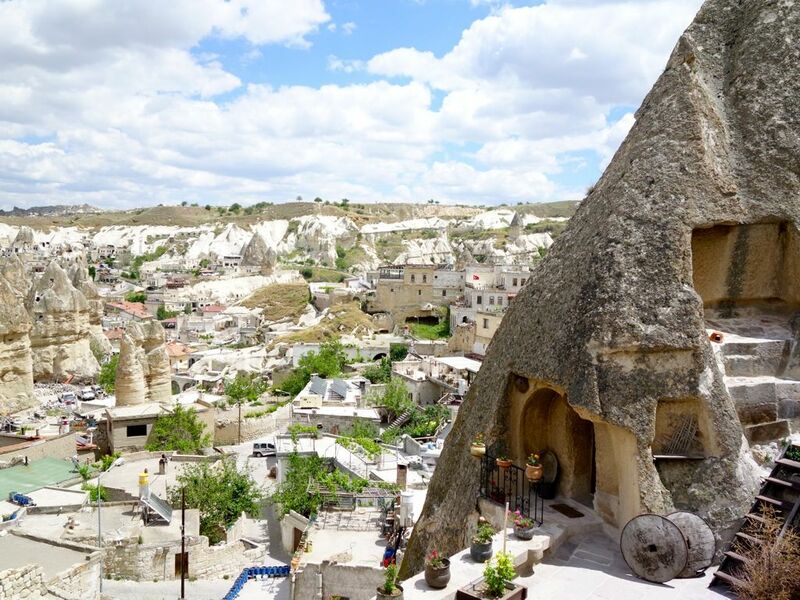 Here are some Goreme Cave hotels that i considered. This is a small home boutique, family-run guesthouse located just a short stroll from the city center. Double rooms are from 70 Euros onwards. I liked Room 10. For suite rooms (100 Euros), I'd go for 12, 3, 8, 9, 5 in order of preference. Esbelli Evi- Charming place. The first cave hotel in Ürgüp. Selçuklu Evi Cave Hotel- Near good restaurants. Kayakapı Premium Caves- Very grand. Super lux! Some caves have private swimming pools. 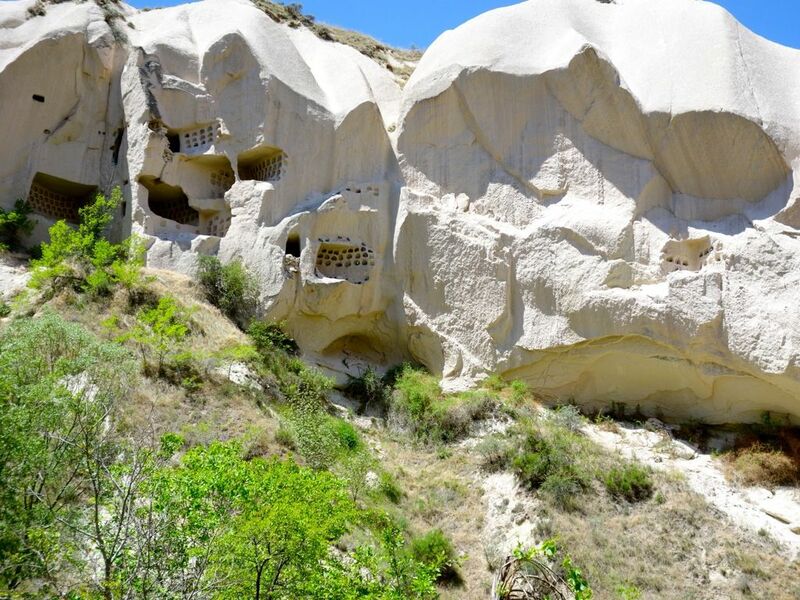 The Goreme Open Air Museum is a short 1km walk away from Goreme city center. Do not miss this UNESCO World Heritage site which was once a Byzantine monastic settlement and 17th Century pilgrimage site. It was hard not to be wowed by the rock-cut churches, chapels and monasteries on site. 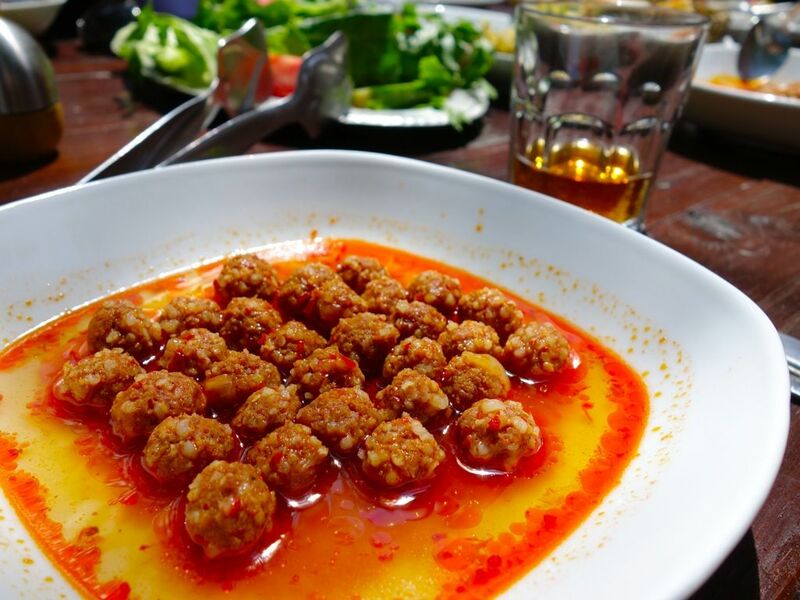 Wander around the area, explore the valleys before grabbing a bite at Firin Express in the Goreme city center. 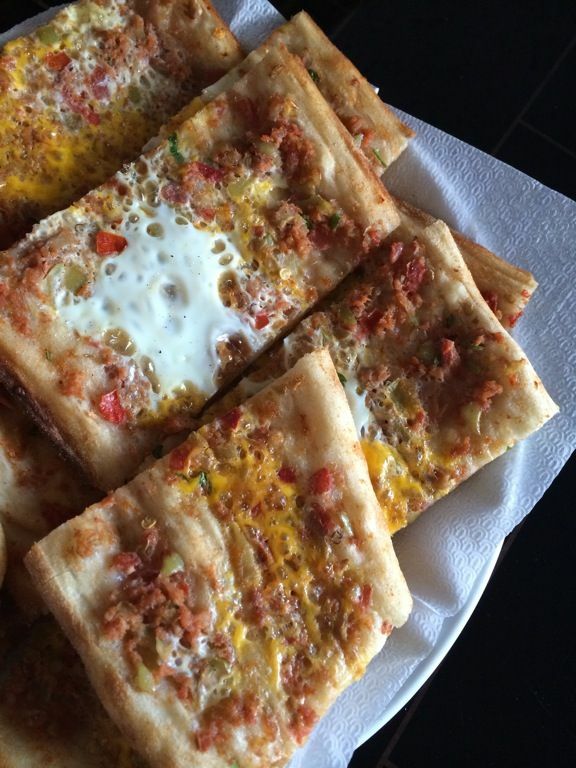 The freshly oven baked pides (turkish pizzas) were crunchy morsels and make for a cheap meal (6tl onwards). We ordered 1 for our pre-dinner snack and it turned out to be an early dinner because it was a massive portion. 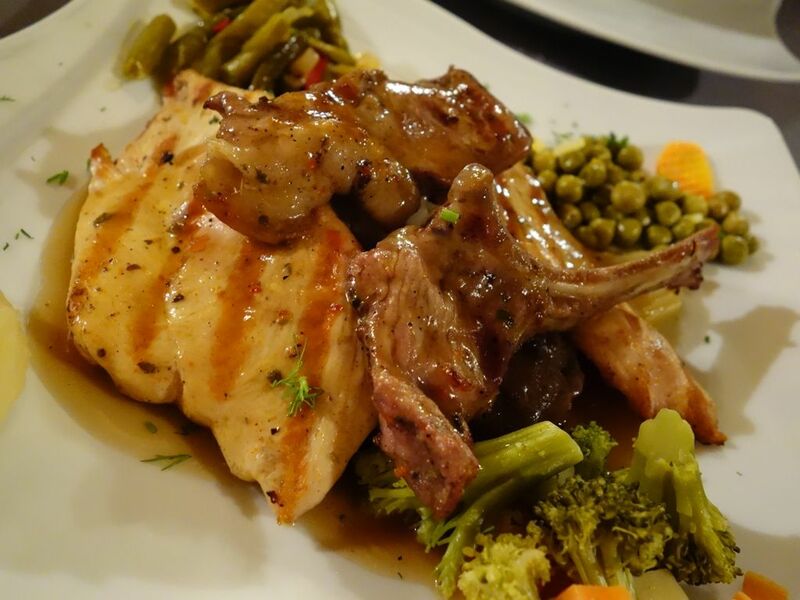 Or head to Seten restaurant at Sultan Cave Hotel or Topdeck Cave Restaurant if you're looking for something fancier. Since Seten was just next door, we popped over for our first kebab meal. The Palace kebab had 3 types of meat- chicken (a little tough), lamb chops (great but such a meager piece), and beef meatballs (a little too minced but still delicious). Skip the fried beef meatballs with walnut as the batter was too thick and dry and the filling overly salty. You get a 10% discount if you're staying at Kelebek or Sultan Cave Hotel. Begin Day 2 with an early morning Hot Air Balloon ride. 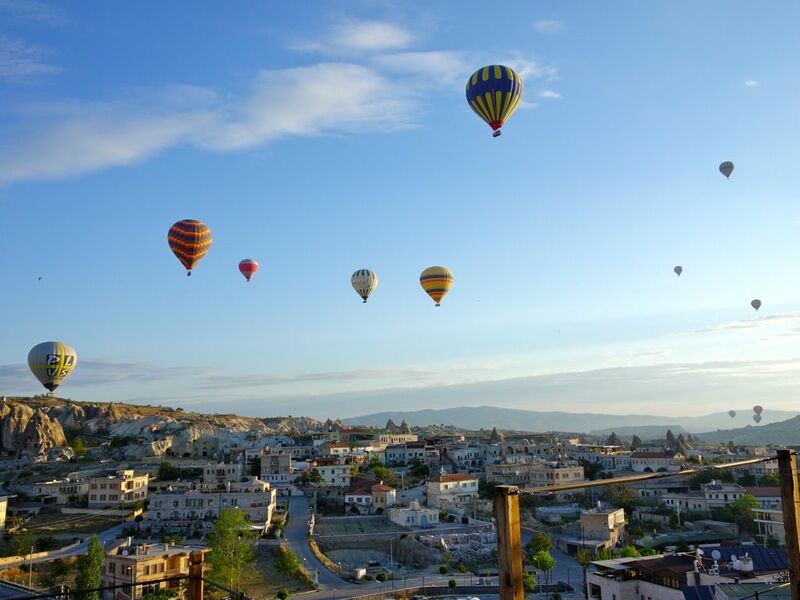 Make sure you pre-book a slot before heading to Cappadocia. Popular (and safe) balloon companies like Butterfly and Royal are guaranteed to be fully booked. Thanks to S who wanted to 'check out' the companies after we arrive, we obviously did not get to fly with any of the 2 companies. Turkiye Balloon (130tl for 1h) was recommended by our hotel and thankfully it was safe enough! Our pilot is very skillful as well. The ride was very peaceful (like it should be) sans the occasional blasts of hot air. While it may not be a life changing experience, we did get a beautiful view of the landscape. It was as though we were looking at a picture. The view of Rose Valley from 600m above. 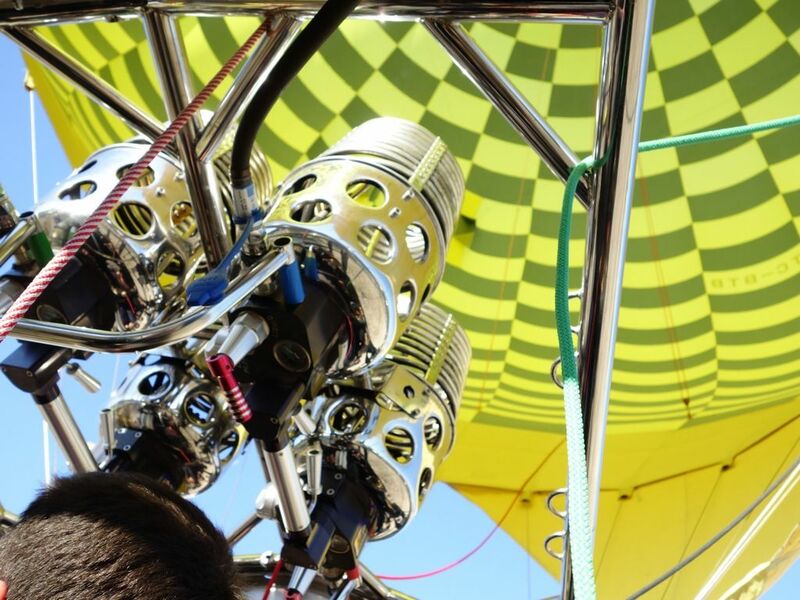 Some tips for hot air ballooning for you! 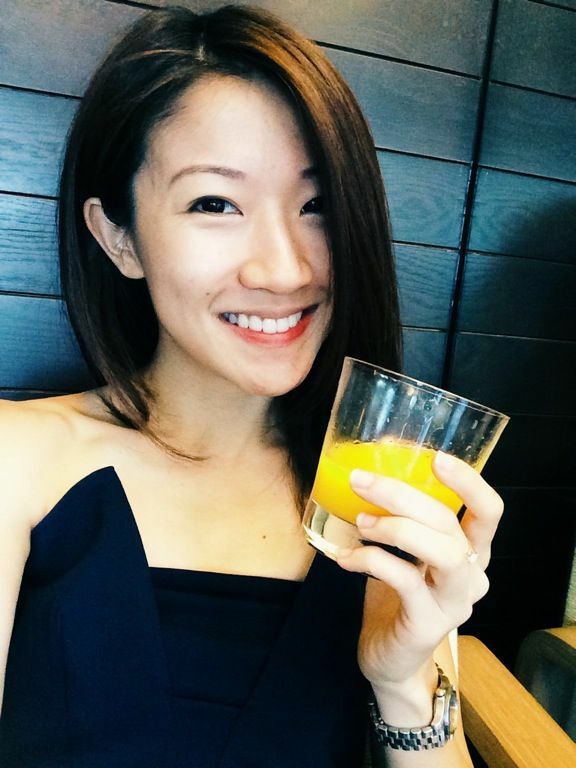 Tip 1: In summer, it doesn't quite matter if you take the late afternoon flight since you still wouldn't be able to catch the early sunrise during the first flight (more time for sleeping in). For other times of the year, make sure you take the early flight to experience the changing sky lights! All balloon rides come with a pre-flight buffet breakfast. Turkiye's breakfast was super meh compared to what we had at our hotel though so save your calories for a better breakfast instead. Tip 2: Pay in cash to get a 10% discount! We headed back for better breakfast before heading out again on our 7 hour History and Adventure Tour (60 Euros each, entrance fees and lunch included) and we booked this through our hotel. It was a small group of max 15 pax and we were driven around in a comfortable minivan. We had an English speaking guide to introduce the various sights and he was very informative. We started with a hike through the Rose Valley. It's advisable to have proper shoes with grip as the roads can be quite sandy and pebbly. 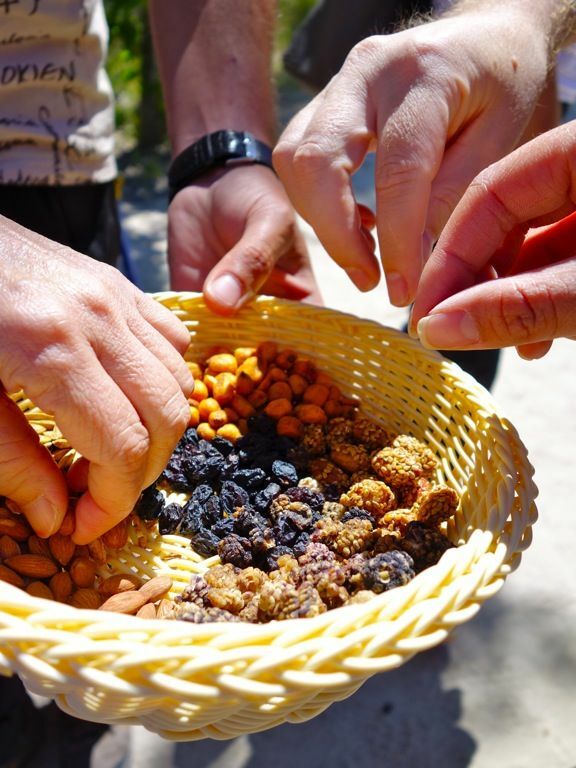 During the 1h hike (it was more walking for us), we saw local farms and stopped by for some dried fruits and nuts. 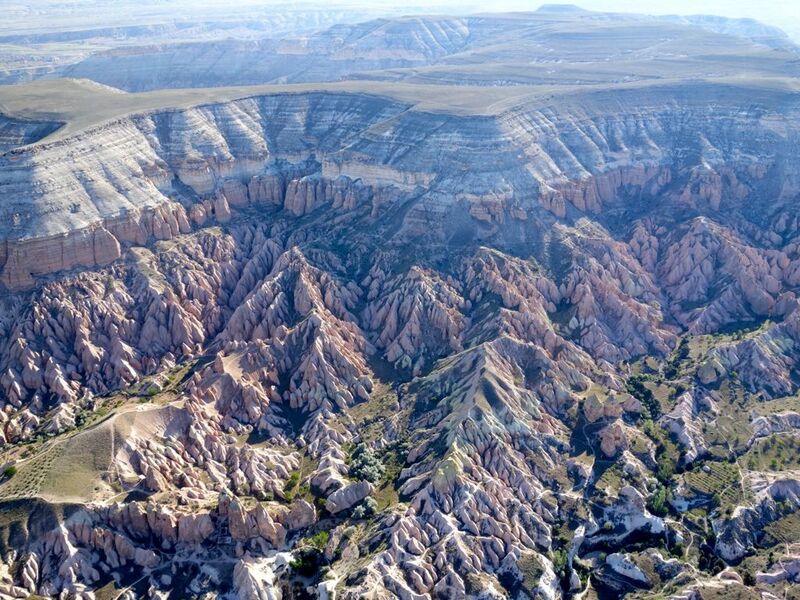 We passed through Pigeon Valley which is between Göreme and Uçhisar. Pigeons were used as messengers in this region in the past. Their droppings were also used by the local farms to fertilize their crops. For those who wish to attempt the hike on their own, the semi hilly trails are marked. 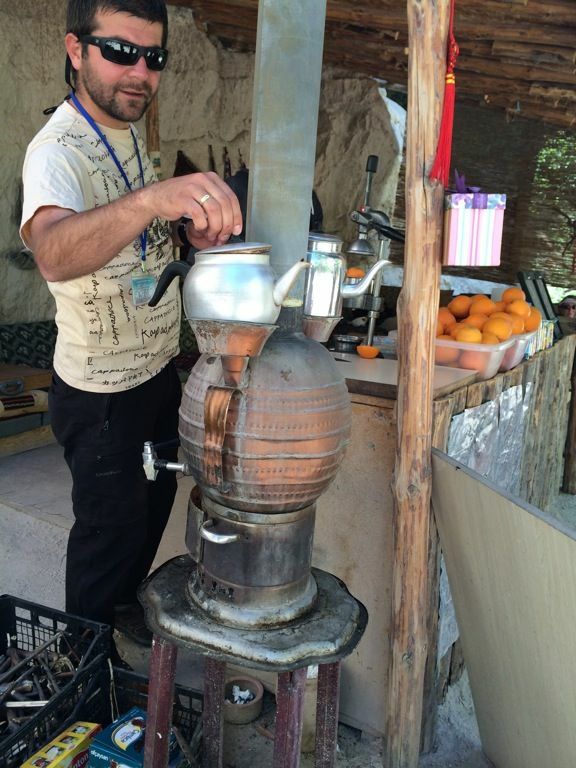 Breaks are given during the hike and we had freshly squeezed juices and Turkish tea along the way. The walk took us to the old Cavusin cave village where the church of St. John the Baptist sits precariously atop the hill. 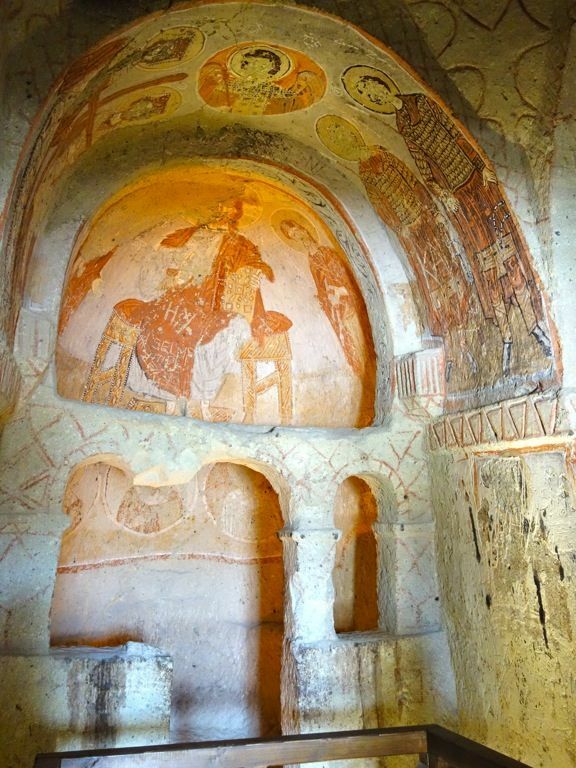 The 5th century cave church is the biggest in Cappadocia. 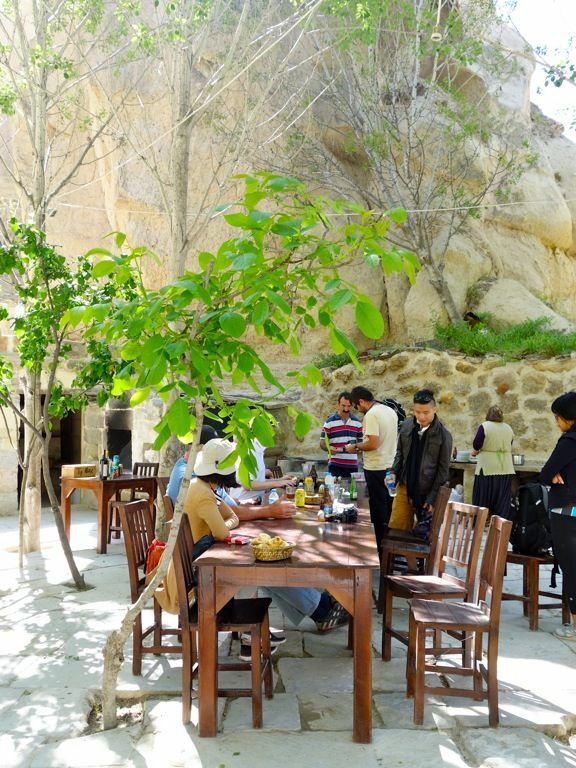 Lunch was at the remote King's Valley near Goreme in a property that is owned by Kelebek Hotel. You could also do your organic breakfast here if you live at Kelebek Cave hotel (check it out here). The journey to the valley was quite fun in fact. It was almost like a roller coaster ride. Dining under the trees in the middle of nowhere was rather interesting and the food was fantastic. 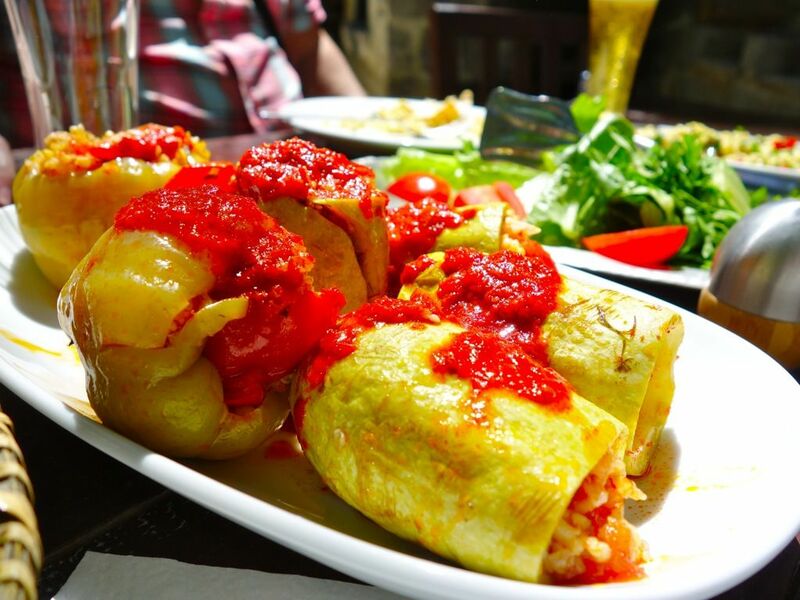 I loved the stuffed zucchini and peppers with tomato rice and side of yogurt. The baby meatballs, fresh greens and soups were healthy and hearty as well, and we were very well fed. We caught a view of Uchisar Castle from afar. I would certainly have loved to visit if given the time. 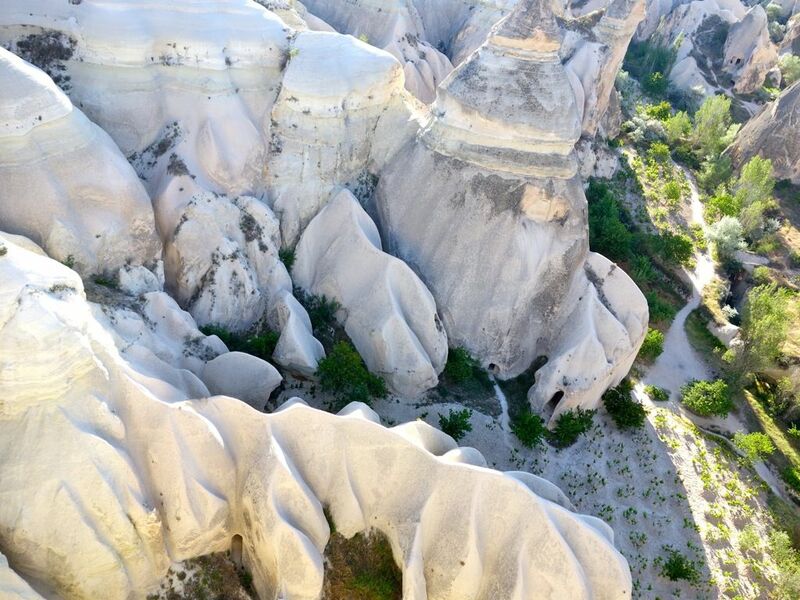 The natural rock citadel is the tallest point in Cappadocia. A trip to one of the underground cities is a must. As part of our tour, we visited the largest underground city, Kaymakli Underground City. This carved underground is used for hundreds of years by locals to hide from Romans, Persians and Arabs. 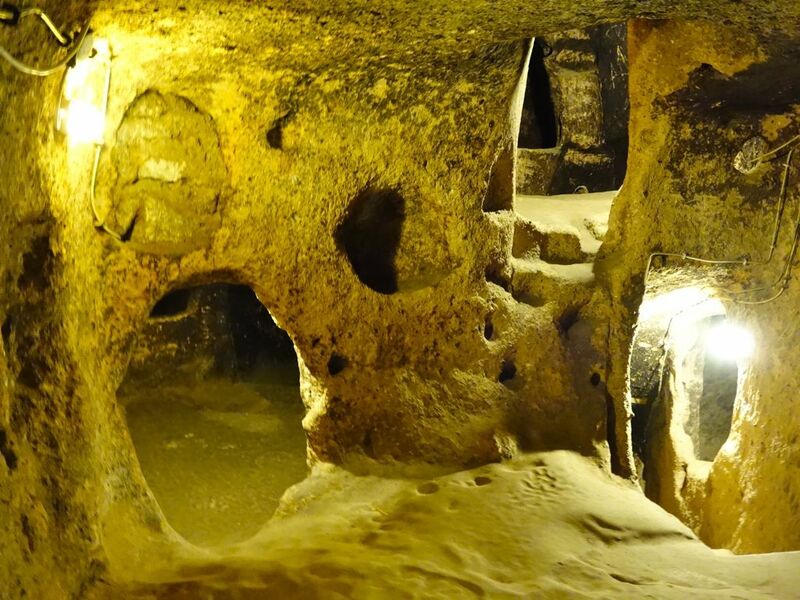 Another underground city to visit would be Derinkuyu, which is the deepest underground city. 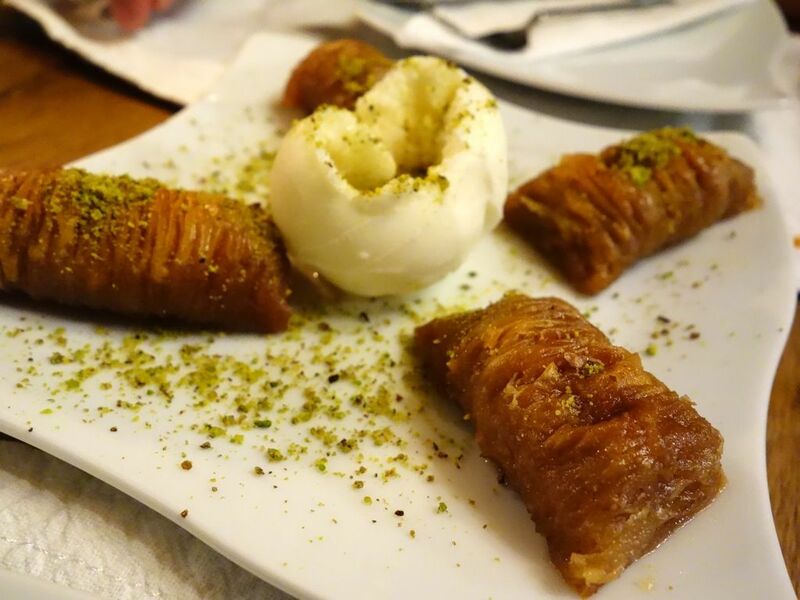 It was at Kelebek Hotel where we were initiated into the Turkish way of life- Hammam baths (Turkish bath) and Baklava (a rich, sweet pastry made of layers of filo filled with chopped nuts and sweetened with syrup or honey). I'm a baklava convert already. Dinner at the Kelebek Hotel restaurant was pretty good if you're too lazy to head out like us. The kebab was better than Seten's imo. 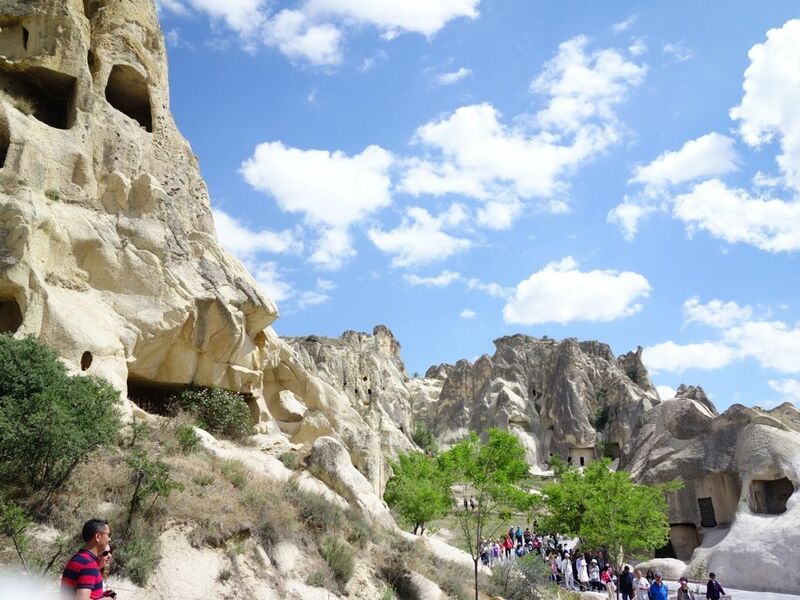 If you have more time in Cappadocia, you could check out the Göreme National Park (another UNESCO World Heritage site) or the Ihlara Valley (deepest gorge of Anatolia). 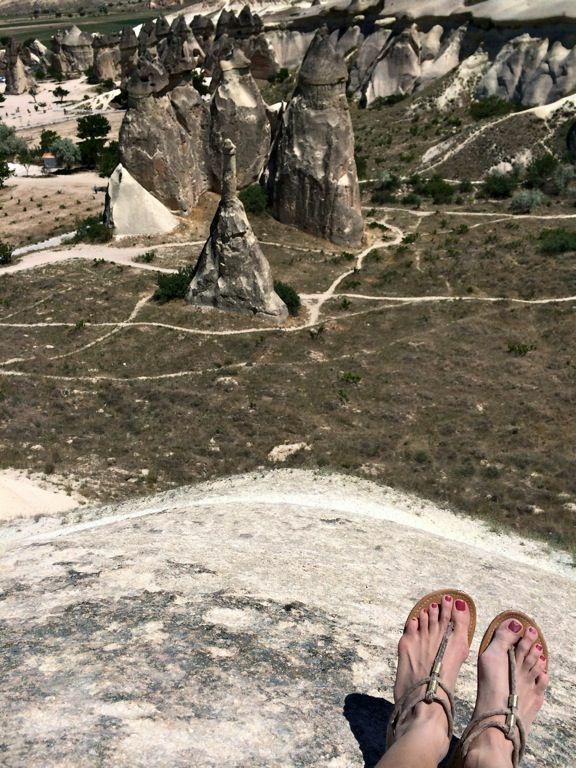 Cappadocia is my favorite city in Turkey and the 48 hours was more than amazing. I certainly wouldn't have minded another day to explore the other towns. 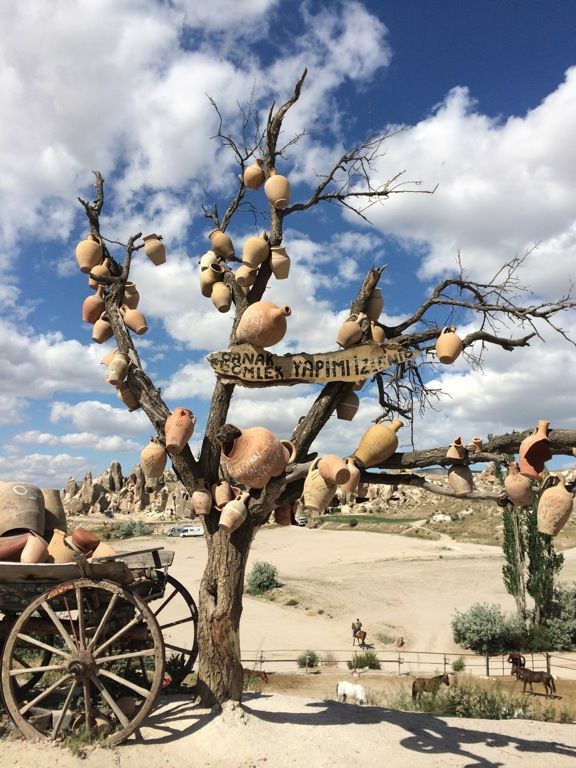 What else would you do in Cappadocia? Hi there, I wanted to ask about your hot air balloon ride, you quoted 130TL but I've searced the website and it says 160euro? Can you please tell me how you got that price? Many thanks in advance! That's the price I got when I booked the ride at my hotel. Plus I paid in cash so there's another 10% off. 150-160 is about the standard price actually so you can go ahead and book to ensure a spot in the basket. 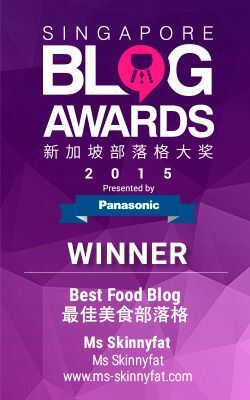 We would like to thank you for that great post. We hope could meet you in near future again.